It's the Bees Knees baby! 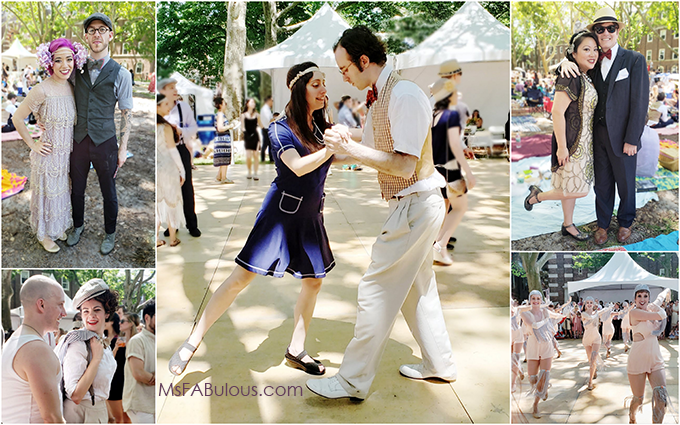 I danced the day away at the Jazz Age Lawn Party this weekend at Governor's Island. 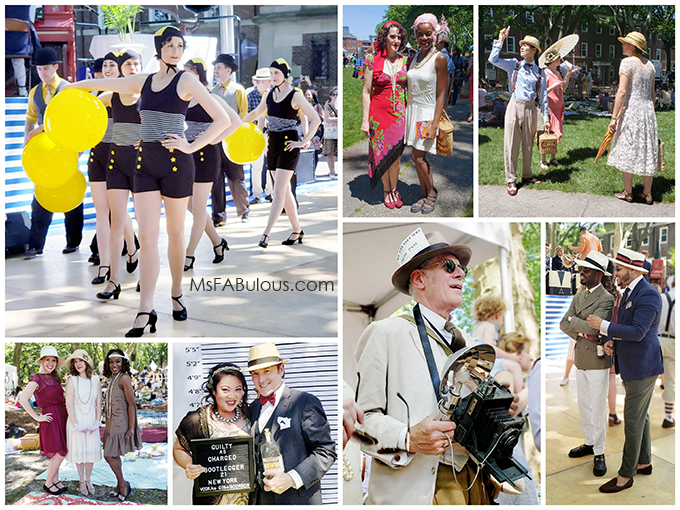 It was a celebration of all things of the 1920s in the spirit of a Great Gatsby party, flapper style, and jazz. I love that New York comes out in full for an event like this. The full lawn was covered in elaborate picnic set-ups of fans fully dressed for the period. I love that I saw lots of children to lots of seniors from every ethnic group embracing the music and culture of this era. There were lots of beautiful beaded and fringe flapper dresses as you would expect. Due to the warm weather, vintage 1920s style swimwear was a big hit for both men and women as well. I saw more gender fluidity where there were women who embraced the male collegiate looks with other men or more casual suspenders and men's tailoring for a dapper look. Daywear fashion and nautical looks also made the cut. Charleston lessons were taught at the beginning, leading to a Charleston competition later in the day. Vintage cars were on display as well as vintage fashion vendors. There was a booth from the Penumbra foundation, making old-style tintype portraits using original techniques involving varnish, silver and bunsen burners. 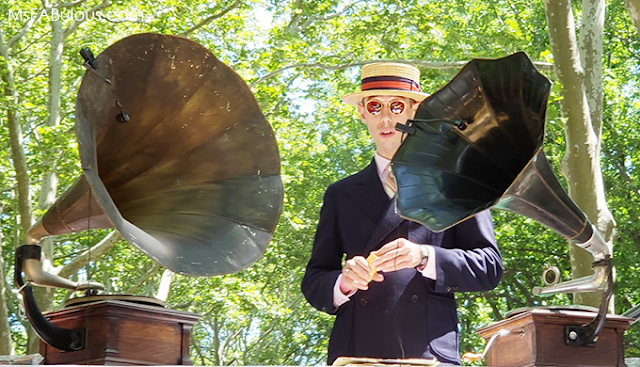 Music was the driving force behind the event produced by Michael Arenella and his Dreamland Orchestra. The awesome vocals of Queen Esther kept everyone dancing. I really love that there was a Gramophone DJ spinning on original machines in between live music. How lovely is spending a summer day on an island dressed up in some glamor? The bright sun brought out lots of handheld fans and beautifully crocheted parasols, pagoda umbrellas and paper parasols as well. I missed the Coney Island Mermaid Parade also happening on the same day. My subway car was full of fish people and flappers! How amazing is New York City that there are enough fans of both eclectic events to populate them with crowds on the same day? How great is it that I actually have to choose which one to go to? I call this a summer crowd-sourced vintage show. You can indulge in retro-themed cocktails while you dance the day away. They do this again in August! Come and show me your best moves at the next Jazz Age Lawn Party baby!